A few months ago, I was able to find RiCo Corn Rice in the grocery shelves. I immediately bought a 1-kilo pack to try it because I saw on the label that it has a lower glycemic index. I remember asking my son if he'd like to try it and he said yes. I knew he would agree because he loves to try out "unusual things." But you know, corn rice is not really new to me. As a young girl, I have already tried eating corn rice during the many summers I spent in the province. But RiCo corn rice is different because it's orange-colored. I remember eating white corn rice and its texture is softer and stickier. For controlled blood sugar level - It's best for diabetics and pre-diabetics because of its low glycemic index. For good eyesight - Corn contains the anti-oxidants beta-carotene and lutein. For increased energy - Corn rice provides adequate carbohydrates for energy as well as Vitamin B complex. Aflatoxin safe - These toxins are usually found in stored rice and are hazardous to health. 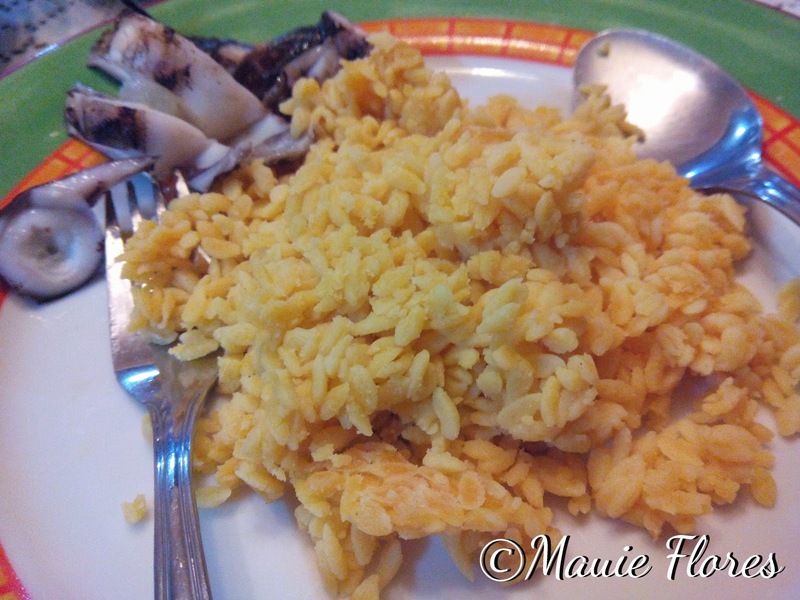 Cooking RiCo corn rice is quite easy and it's similar to cooking regular rice except that it needs a bit more water. When my mom saw this, she immediately told me that it would require more water even before she saw the package instructions. Again, it's based on her experience in the province. White corn rice, apparently, would not need extra water. The grains should not be washed to preserve its water soluble nutrients. 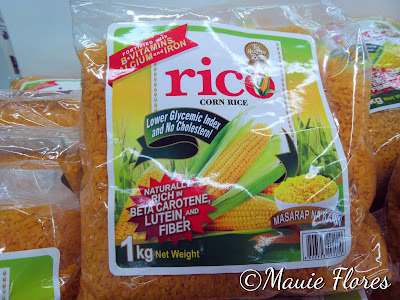 If a loose and fluffy consistency is preferred, RiCo rice corn should be cooked like pasta. Boil the water first, put the corn rice until it's cooked, then drain the excess water. My cooked RiCo rice corn is a hit! I partnered it with grilled squid, much to the delight of my boys because they thought I cooked Java Rice, hehe... (Sosyal daw!) The husband did not know that it was rice corn until I told him that it was. It basically tastes the same as regular rice. Actually, it's yummier if you ask me. 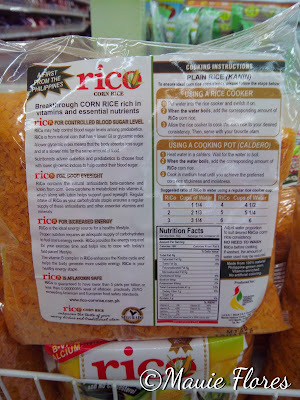 RiCo corn rice is available in 1-kg, 2-kg, and 5-kg packs. The 1-kg pack I bought from SM Supermarket cost Php 70 while a 2-kg pack costs Php 125. I'm trying out new recipes using Rico corn rice so better stay tuned. By the way, recipes are available at yummyhealthy.ph.